One of the longest serving staff of the University of the South Pacific in Fiji, Konai Helu Thaman is currently Professor of Pacific Education and Culture and was the UNESCO Chair in Teacher Education and Culture from 1998-2016. Ms Thaman was born and raised in Tonga where she received her primary and secondary education. She studied at the University of Auckland (BA in Geography), Auckland Secondary Teachers’ College (Teaching Diploma), the University of California at Santa Barbara (MA in International Education), and the University of the South Pacific (PhD in Education). She taught in high schools in Tonga and has been on the staff at the USP since 1974. 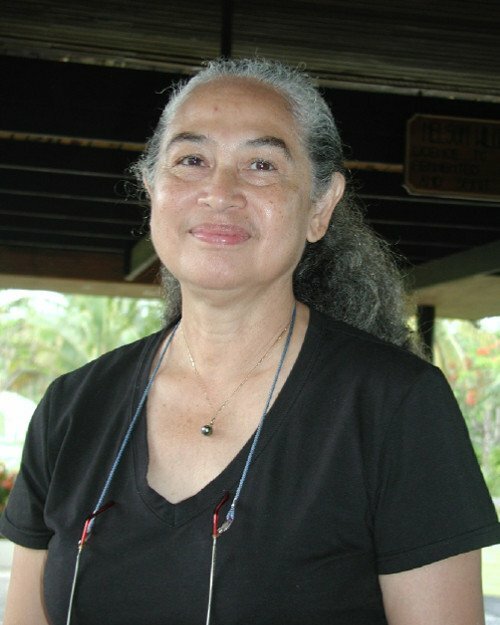 She has researched and published widely in the areas of curriculum, teacher education, indigenous education, women and university management, and more recently Pacific research frameworks and education for sustainable development. She has held a number of management positions at the USP including the Director of the Institute of Education, Head of the School of Humanities, and Pro Vice Chancellor. Ms Thaman is currently a member of the Joint ILO/UNESCO Committee on the Recommendation on the Status of Teachers (CEART) and Fellow of the Asia Pacific Centre for Educational Innovations in Development (APEID). She was a member of the UNESCO Asia Pacific Scientific Committee on Research in Higher Education and the UNESCO Global Monitoring Committee for the Decade of Education for Sustainable Development (DESD). Konai is also a widely published poet whose work is studied by school children throughout the Pacific region and beyond; many of her poems have been translated into several languages including Chinese, French, and German. Five Collections of her poetry have been published: You the Choice of My Parents (1974); Langakali (1981); Hingano (1987); Kakala (1993) and Songs of Love (1999). YOU, the choice of my parents. I fit your plans and schemes for the future. And fill the gaps in your genealogy. Except for the weeping willows along the shore. This portrait of Konai Helu Thaman was first published by the Pacific Community for the 70 Inspiring Women campaign, it is reproduced here (with some modifications of our own) with their permission.